Call 781-343-1381 to schedule your first appointment. Several styles are available for those who have sensitive ears and dislike things in their ears. Other styles are completely invisible due to their placement or because they’ve been personalized to match the skin tone of the wearer. Whatever style you choose, we’ll make sure your new hearing aids fit comfortably. Our hearing aid center proudly provides hearing aids with GENIUS™ Technology; these are the newest reasons why Miracle-Ear leads the industry in innovation. GENIUS™ Technology has cutting-edge features that block extraneous noises and allow customers to clearly hear the sounds they want to hear. High-definition digital sound and GENIUSfocus will work to improve your listening ability in even the noisiest conditions. All features are designed to work together smoothly under a variety of conditions to improve the clarity of sound. Bluetooth®* compatibility will enable you to connect to all your other audio sources, including phones and TVs. The GENIUS™ Technology app** will let you conveniently and discreetly adjust your hearing aids from your smartphone. Michelle has been with Miracle-Ear since 2015. 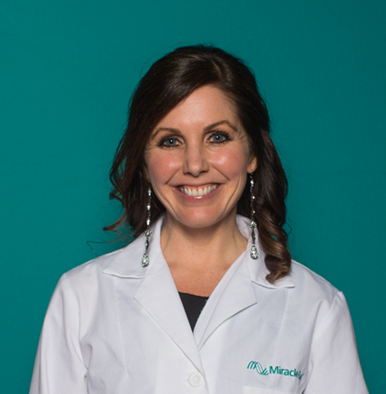 Michelle is a Massachusetts Licensed Hearing Instrument Specialist. Michelle's favorite part of working at Miracle-Ear is seeing patients' faces light up when they realize what they are missing in conversations. It is truly a privilege to be able to make that difference in a patient's life and the lives of their families and friends.